Recognize, diagnose, and manage a vast range of common and important ocular conditions with the latest edition of this trusted reference. 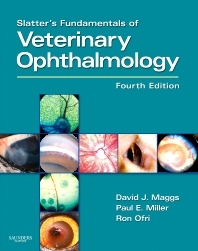 Extensively revised and updated by a team of internationally respected contributors, this edition provides a comprehensive, yet practically oriented, diagnostic guide to ophthalmic disease, covering structure and function, ocular development, pathology, examination and diagnosis, pharmacology, and emergency management for a wide variety of small and large animal species. Clinical focus addresses vital information for evaluating, diagnosing, managing, and monitoring patients. Logical organization based on anatomic region makes information easy to locate.